A row of deepwater swinging moorings for vessels up to 25m in length, available May-Oct and particularly popular during Cowes Week. A row of deepwater swinging moorings for vessels up to 30m in length, available June-Sept and particularly popular during Cowes Week. 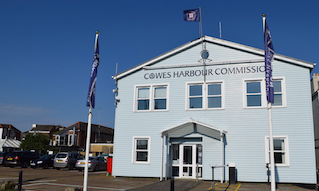 Laid in July to provide moorings for Cowes Classics Week and Cowes Week; for racing vessels up to 8m in length. Used for short stays and overnight moorings during calm weather; the fairway side is for large vessels of interest such as tall ships. Licensed for 12 months for cruiser class vessels and 7 months for day class vessels giving easy access to the Solent. Pontoons available for vessels up to 9m in length, generally for short stays, particularly popular with RIBs during events and at weekends. 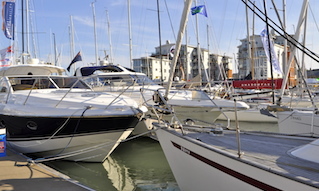 A popular marina offering that personal touch; first class facilities including free WiFi and the cheapest marina rates in Cowes. An alternative to staying within a marina and a popular choice for multiple nights and during events. No walk-ashore access. Offering easy access to the Solent and a short tender or water taxi ride to the shore; a waitlist is currently in operation. Very popular river pontoons in the scenic Folly Reach area, offering easy access to the Folly Inn and only 15-25 mins from the Solent. 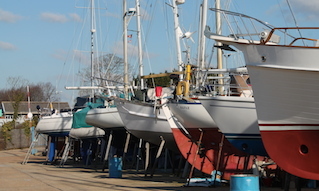 A combination of deepwater and tidal swinging moorings; currently a number of tidal swinging moorings are available. Two rows of pile moorings: one at Whitegates and one opposite the Folly Inn; currently a selection available for boats up to 14m. Very popular visitor pontoons located opposite the Folly Inn, these CHC pontoons offer the cheapest visitor moorings in the Folly Area.